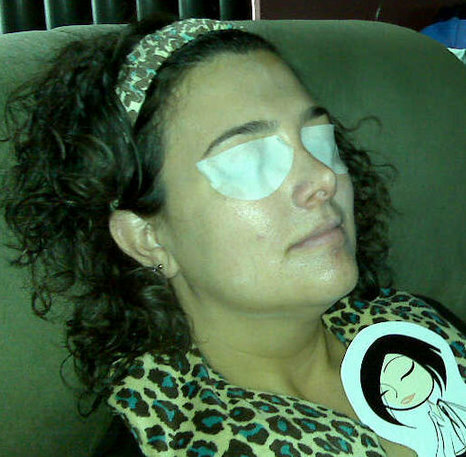 If you’ve checked out my website, you’ve already figured out that I’m a mobile spa consultant. In previous posts I’ve concentrated on skin care, but not the body as a whole. This post is dedicated to stress relief and a really neat way to get there. always telling me that their lives are crazy, busy, stressful, or all of the above. Many therapists say you need to take yourself out of the element that creates that stress. The first answer people usually think of is a spa. But how many of us in this economy can afford to go to a spa? Not as many as you might think. Even those that you think are better off financially than you are counting their pennies these days. So, you may not be able to take yourself out of the stressful element physically, but you certainly can emotionally. Doing so for just a little while can help refresh and renew your body, mind and soul. Music: By playing soft, soothing music, you can create a less stressful atmosphere wherever you are. In work, at home, on vacation, you name the place. Candles: Candles relax the mind through the soft glow and wonderful scents that are available. Warm washcloth: Misted with a relaxing scent and put over your eyes and forehead can relieve tension. Foot cream and warm booties: It doesn’t take a rocket scientist to figure out that this feels fantastic for your feet! And there you have it, you’ve recreated the spa experience at home! So now that you know my secrets, why would you call someone like me to come do it for you? People in the mobile spa business add a host of other experiences for you, like facials, anti-aging treatments, parrafin hand treatments, and more. We also do all the work for you. We bring the towels, the heated neckwrap and the heated booties, and then we take them all with us when we leave so you don’t even have to clean up 😉 If you’re not in my area, I can give you tips on how to make a stress free spa experience on your own or with friends. I’m always willing to help and answer questions. So when trying to decide whether To Spa or Not to Spa, think of this: Can you afford not to?